Lots has been going on these past few weeks at Festival HQ! Our hares and tortoises have been handed over to be decorated, and one painted tortoise has even managed to crawl its way into our office. It’s now set overseeing everyone’s hard work! Although it’s still a couple of weeks until this tortoise will be released into the wilds of Lichfield for you all to see, we’ve received these pictures from the Bridge Centre of their ‘Bad Hare Day’ hare, doesn’t it look great? As well as that, you may well have seen some of us at the Home and Garden Festival, equipped with dog biscuits, raffle tickets and many a balloon! We’ll also have a stall at Bower Day this Monday. 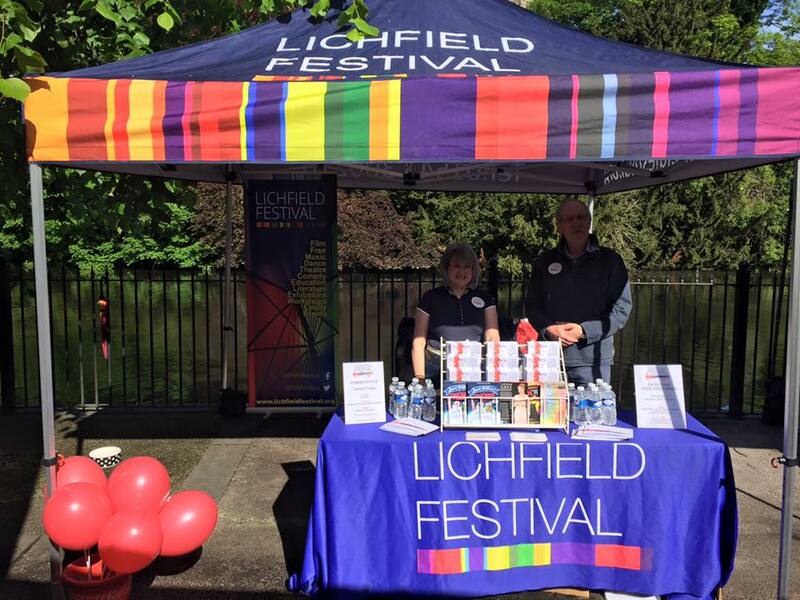 We’re all restocked on dog biscuits, balloons and brochures, so make sure to pay us, and our colourful gazebo, a visit.We look forward to chatting to you all! It’s also not long until our banners will be appearing around Lichfield, so keep an eye out for those. Finally, we found this article today about what the ‘real’ Mr Darcy would have looked like. Turns out Fitzwilliam wasn’t the tousled-hair, muscular heartthrob we all imagine him to be, in fact, quite the opposite! An interesting read for the Pride and Prejudice fans among us!